We had just walked out of L. Mawby Vineyards loaded up the car with our purchases, and proceeded to try the wines at Big Little Wines. Their tasting room was right off the same parking lot. Big Little Wines are a small batch winery, that started off with two acres of land that were planted with Pinot Noir and Pinot Gris by the parents of the two sons Peter (Big) and Michael (Little) Laing. The family was complete novices to winemaking, but they discovered a great mentor in Lawrence Mawby. Michael has now worked for Mawby for about five years and has elevated himself to the position of Assistant Winemaker there, while his brother Peter is the Operations Manager at Mawby, and both brothers still have time to follow their dream of making their own personal wine, and through the mentoring of Lawrence Mawby, also use his equipment for making their wine as well. There first wine was produced in 2011. The tasting room was not large, but it suited their needs at this time. Their stated goal one finds out from visiting the tasting room is to produce unique wines and ciders in styles that are not so ordinary. All the grapes are grown on the Laing family farm in Lake Leelanau, Michigan. The vineyards are dry farmed, hand pruned and hand harvested. The wines that were offered that day were varied and some of them were whimsical in their naming and their approach. The 2013 Crayfish is Pinot Gris that starts in Stainless Steel and moved to Oak for fermenting; there was a hundred and seventy-five cases produced. The 2013 Treehouse is a white wine produced from Pinot Noir grapes, starting in Stainless Steel and then to Oak for fermenting, with a hundred cases made of this wine. The 2014 Dune Climb is made from Sauvignon Blanc that also starts in Stainless Steel and aged for five months in Oak for a dry, crisp finish and they produced one hundred and fifty cases of this wine. 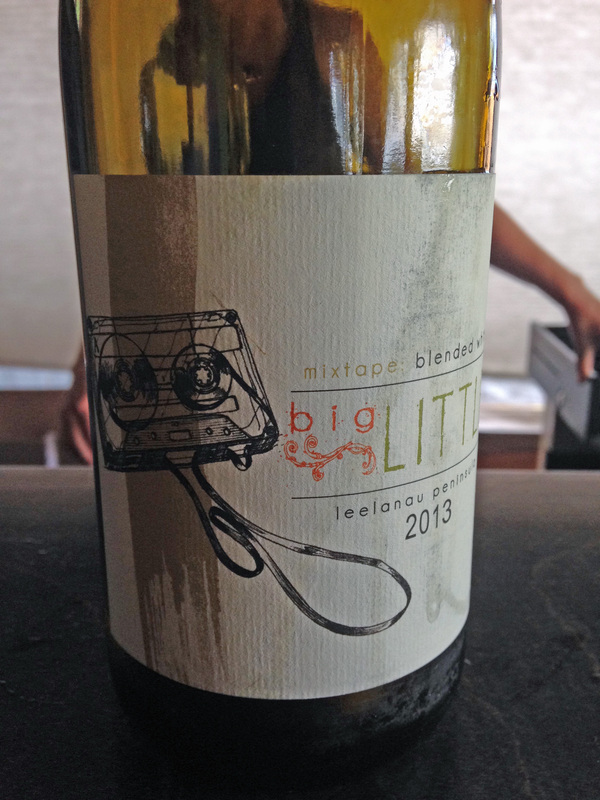 The 2013 Mixtape was a blend of Riesling, Pinot Gris and Pinot Noir, to produce an off dry wine, and this wine produced a hundred and fifty cases as well. Tire Swing is a sparkling wine that is a multi vintage blend of Riesling, Gewurztraminer, Pinot Gris and Pinot Noir and is a brut finish, of which they produced two hundred cases. 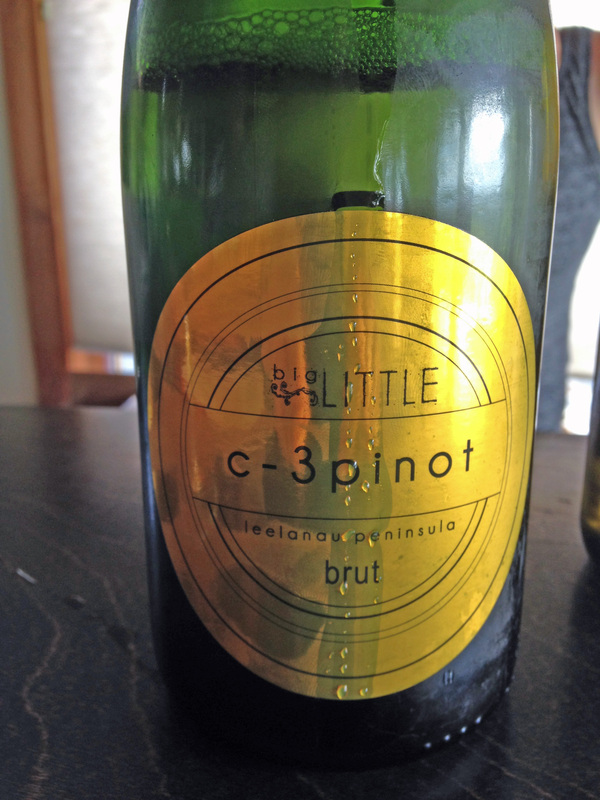 My final wine that they made and my favorite name is C-3Pinot, another sparkling wine of Pinot Gris, Pinot Noir and Pinot Blanc that starts off fermenting in Stainless Steel, and then the second fermentation is done in bottles for eighteen months of additional aging; a very light and crisp brut wine with a production of one hundred cases. They also produce a cider, but I have to admit that I passed on it, as I am not a cider fan. The cider is called Recess and is a blend of Ida Red, Liberty, Golden Delicious and Golden Russet apples. The cider begins cold fermentation in stainless steel, with a second fermentation in a pressure tank, with an apple spirit dosage added, and they produced one hundred and seventy cases of the cider. So in total, this small but proud winery has produced from their own acreage eight hundred and seventy-five cases of wine, plus the cider; not bad for newcomers that have a lot of passion and a willingness to start a new dream. This entry was posted in Wine and tagged Big Little Wines, C-3Pinot, Crayfish, Dune Climb, Leelanau Peninsula, Michigan, Mixtape, Pinot Blanc, Pinot Gris, Pinot Noir, Riesling, Sauvignon Blanc, Tire Swing Sparkling Wine, Treehouse. Bookmark the permalink.